Join us October 9, at 11am ET, when Google will take the wraps off its 2018 hardware lineup. 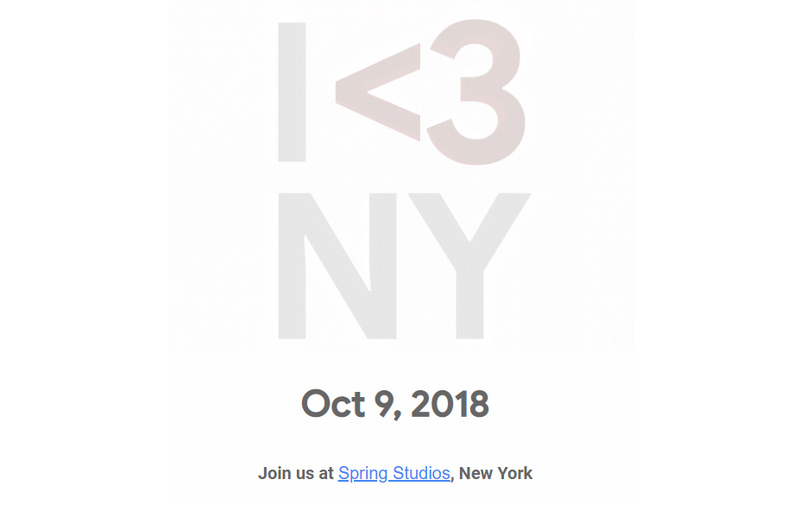 We’ll have boots on the ground in New York City to bring you the latest from Google’s big event. As usual, we are expecting around five or so Google products at this event. The headline item will be Google’s Pixel 3 smartphone, and we’re also expecting a new Chrome OS tablet—the Pixel Slate—and Google hardware to match its Google Assistant smart display software, the “Google Home Hub.” We have a whole list of what we’re expecting here. There have been so many leaks of Google’s hardware over the last month or so that we know most of what’s coming. We’re mainly on the lookout for pricing and availability information, but there’s a chance we’ll run into some unexpected surprise hardware. Keep in mind, this is a company that launched an AI-controlled camera at last year’s event. Anything is possible from Google’s wacky hardware labs.